Greg Mitchell is a former law clerk to a federal magistrate, Assistant Attorney General of Missouri, and Executive Director of the Missouri Motor Vehicle Commission, a state agency which was responsible for the licensure and regulation of Missouri’s motor vehicle sales industry. He has a general administrative and regulatory practice with an emphasis in motor vehicle dealer matters, franchise law, professional licensing, professional trade associations, and corporate issues. 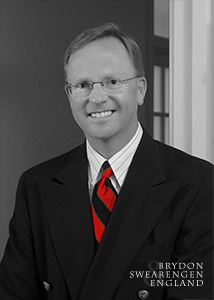 He represents the Missouri Automobile Dealers Association, the Missouri Powersport Dealers Association, and is general counsel to the Missouri State Board of Chiropractic Examiners, Missouri Board of Therapeutic Massage, and Missouri Board of Cosmetology and Barber Examiners, along with representing the Missouri Dental Board, Missouri State Board of Optometry, and Missouri Board of Embalmers and Funeral Directors. In addition, he represents various individual motor vehicle dealerships and dealer groups in franchise, licensing and regulatory matters and disputes.